The four names come out as a single word, as I pepper out the syllables with an effortless velocity in hopes of stopping my four young boys from plunging headfirst into the Grand Canyon. This isn’t a once in a lifetime moment of crisis, it’s just another normal day traveling with four kids. I’m sure many people wonder in the back of their minds why someone would do such a thing, but the question they ask most is how you travel with four kids. Over the years I’ve developed some tips and tricks (mostly for survival and sanity), but also to make traveling with a large family easier – and much more fun! When you’re packing for just one or two, it’s easy just to put everything you need into one bag and take off. 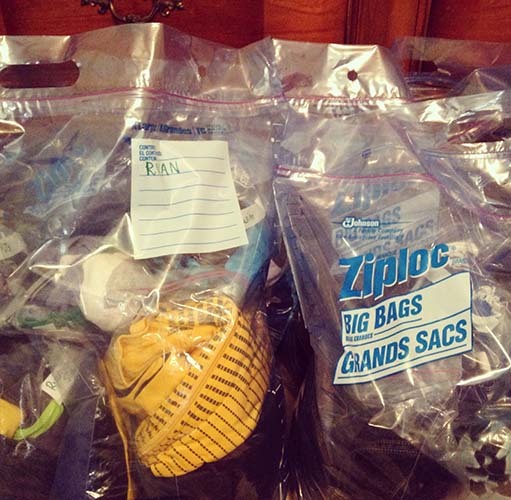 Packing for a crew takes a different way of thinking. If you’re road-tripping, pack your suitcases by the day, not by the person. Pack everything everyone will need at each stop in one bag, saving you from having to schlep six suitcases into each hotel. Another way is to pack by category. Pack all the swim suits, pajamas and underwear in one bag, save yourself from having to dig through four different bags when it comes time to hit the pool or the hay. For years we made the cheap frugal choice and booked a single hotel room for our entire family. Creative sleeping arrangements crammed into any available space was the special charm of our family travels. While it was certainly more economical, it was not enjoyable. Now, we find it much more enjoyable (and completely worth it) to give everyone some space by choosing a vacation rental or a hotel with a suite. This way we don’t have to sleep four to a bed, and since most vacation rentals have a kitchen we can eat in and save on restaurant bills. With a larger than average group, everyone has to do their part, including the kids! Think of it this way, if you’re not assigning tasks to the kids during your vacation, they’re missing out on the opportunity to be a contributing part of their family (and the opportunity to learn not to be little punks.) Think of the children! Give them a job! Everyone in the family should have a task that they’re responsible for each day. Feel free to channel your inner Martha Stewart and write in calligraphy on a color-coded board, or hit the easy button and just write it on the back of each of your little darling’s hands while they sleep. The point is that everyone works and everyone plays. 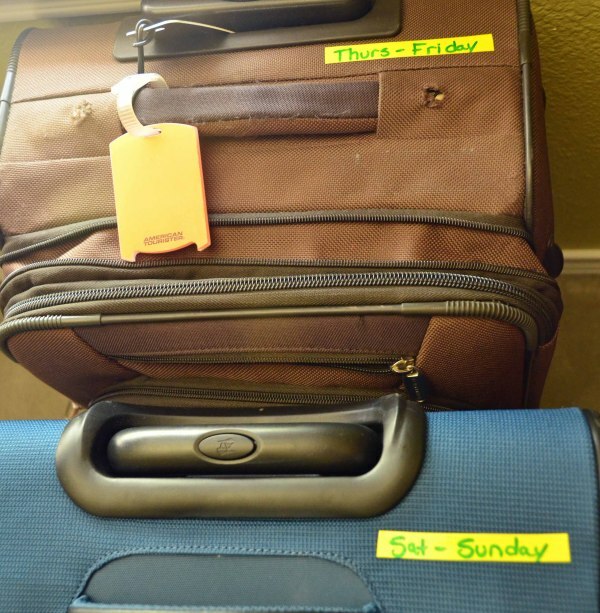 It’s the getting organized and staying organized while on vacation that can be the undoing of most moms. All the “where’s the swimsuit” and “I can’t find the underwear” moments can make you crazy. But if you take care of the organization before your feet ever leave your front door, you’ll be rewarded. I find the best way to pack is to keep things organized in the good old fashioned, but not-so-glamorous ziplock bag method. Group clothes by the person and the type (shirts in one bag, pants in another) and throw them in the suitcase. This completely eliminates the need to go suitcase diving to find that one pair of pants or socks and makes it so much easier to pack up when it’s time to go. Most large families run a pretty tight ship at home by necessity, but when you’re traveling it’s a good time to review the rules to make sure that things go smoothly. 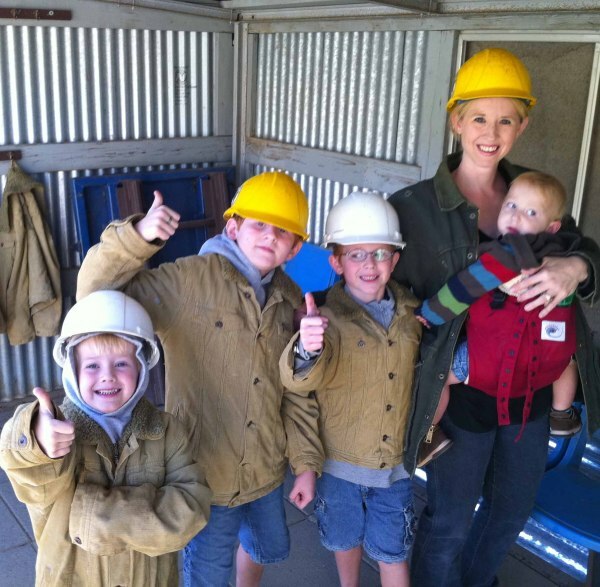 My biggest concern when traveling with lots of little ones is safety. We practice the move of getting out of the car and placing a hand on the car so we’re ready to walk as a group. This ensures that no one runs off or gets lost. Likewise, if we’re in a big city, we like to tell the kids to put their ‘backs on the wall’ as a method of keeping them contained while we’re deciding where to go next. I know that’s a contradiction of the tip above, but it’s called vacation for a reason, and kids deserve a break from the normal rules. In our family, we don’t have much ‘screen time’ at home, but travelling usually allows extra time for handheld devices. The same goes for bedtime routines and sweets. A little bending of the rules can go a long way in ensuring cooperation and easing tension. It’s hard for a large family to be truly spontaneous, even while traveling. So a basic itinerary and schedule for the day is a must. However, the more people you have in your family, the greater chance there is that something will not go according to plan – and that’s okay! Make a plan, but be flexible enough to bend with the adventures that each day offers. More often than not, living with four kids is a controlled chaos, and taking that chaos on the road can be a challenge to your old stress-o-meter. I’ve learned that no matter the circumstances, the amount of stress triggers will always be the same. So it’s really up to you. You can choose to get bent out of shape or laugh it off. You can actually make the conscious choice not to turn into the cranky mom. When I start to feel the tension rising, I have to remind myself that my goal in traveling with my family is way bigger than just showing them lots of other places in the world. I want to do my best to fill their little lives with happy memories, even if doing so is sometimes exhausting. Your payoff usually comes in the form of uncontrollable laughs, singing at the top of your lungs, and irreplaceable family memories. So sometimes you can forget about forcing the perfect photo in front of the Grand Canyon, because lots of smiles in an unlikely place will stay with everyone for a lifetime. 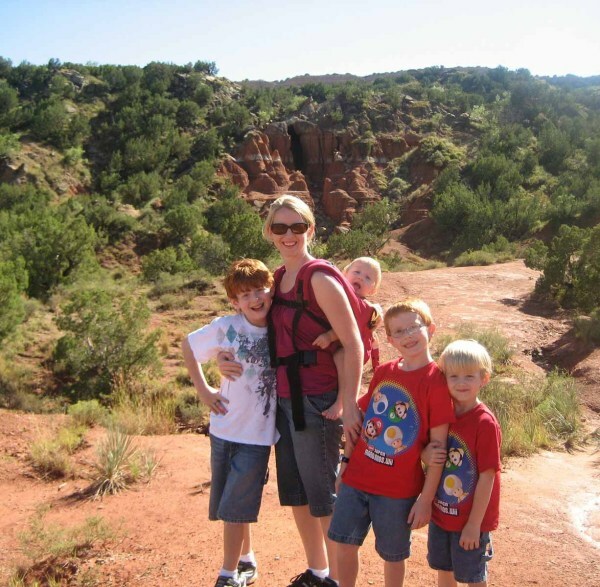 You'll find for more family adventures in organized chaos on Jessica's blog, Suitcases & Sippy Cups.